As the pressure of a busy spring begins to fade, and I am finally recovered from two weekends in a row camping in the woods with hordes of crazy kids and not enough blankets (I swear, I slept so poorly I swear my face felt like it was melting last Sunday), my interest in the upcoming Into the Abyss expansion for EVE grows. 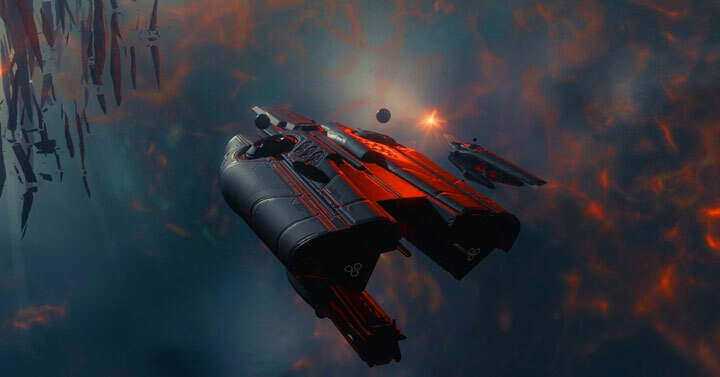 I’m glad that CCP is looking closely at the effects of mutaplasimds on potentionally overpowered modules, but I still have concerns that large coalitions will weaponize statistics to overcome the randomness. Call me cautiously optimistic on that point. I’m looking forward to diving into Abyssal space and trying it out, the design decision to limit it to cruisers only is a good idea as it makes it easier to balance the content against a single class of ships rather than all battleships, strategic crusiers, HACs, Mauraders, etc. On the industrial side, I might look into becoming a builder of the new Triglavian ships if the build requirements are not too crazy and getting the BPCs frequently enough is possible. Might need another Raitaru for ship production! Speaking of the industrial side of things, the 6th month May audit is coming up in the last week of May. I’m currently building a Fortizar as a test experiment with an eye into finding someway to secure a Fortizar BPO in the future. Have to keep dreaming. See you in the Abyss! We are proud to bring you the stories, opinions and musings of a long time pilot who has dabbled in everything New Eden has to offer, he writes and podcasts about his opinions and adventures at Ninveah. Thanks for the good writeup. It in truth was once a amusement account it. Look advanced to far delivered agreeable from you! However, how can we keep in touch? F*ckin¦ amazing issues here. I am very glad to peer your post. Thank you a lot and i’m having a look ahead to contact you. Will you please drop me a e-mail? I’ve been surfing on-line greater than 3 hours these days, yet I never found any attention-grabbing article like yours. It?¦s lovely worth sufficient for me. In my view, if all web owners and bloggers made just right content material as you probably did, the web can be much more useful than ever before.